all those jobs you hate! 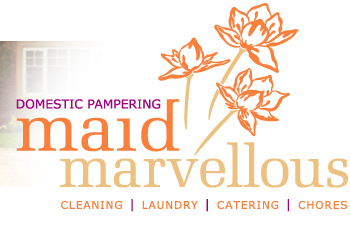 NOW AVAILABLE...... a new exciting service to bring sparkle and shine to your home or business premises — sit your bum down, put your feet up, or just go about your daily schedule and let us lighten the load, allowing you more moments to relax. We cover mainly Thornaby, Ingleby Barwick, Stockton, Wynyard, Thorpe Thewles, Norton, Eaglescliffe, Yarm and surrounding areas. Call Marlene today on 07504 419313 for a chat about your requirements and a free estimate, or please feel free to contact us here. And remember to bookmark this website! An efficient, flexible cleaning service to suit your needs. 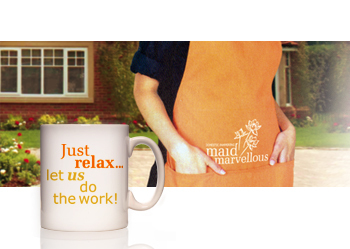 The Maid Marvellous team will clean for you, week in, week out, at a time convenient to you. Our service is both professional and affordable and OUR WORK IS GUARANTEED! Our staff are friendly and efficient, and will work to ensure you return to a clean environment where you can relax. We feel sure you'll want to use Maid Marvellous again and again! Ask about our new Carpet & Rug Cleaning Service! We offer a quality laundry service at very reasonable rates for washing, drying and ironing. We also handle larger items like duvets and linen, and can arrange for any dry cleaning items. We will collect your washing from your home or business premises and return it, freshly laundered and bagged/on hangers, at a time that suits you. For our laundry and ironing price list, please click here [new window]. You'll wonder how did you ever manage without us! As you get to know us, you can trust you’ll get nothing but great service, time and time again! And should there be a service we cannot provide ourselves, we probably know a reliable local person or business who does — so why not give us a call anyway! Wanting to start your own business? A tried and tested business model that you can make your own?